Step 1: Get these things. Step 2: That's it. 1. 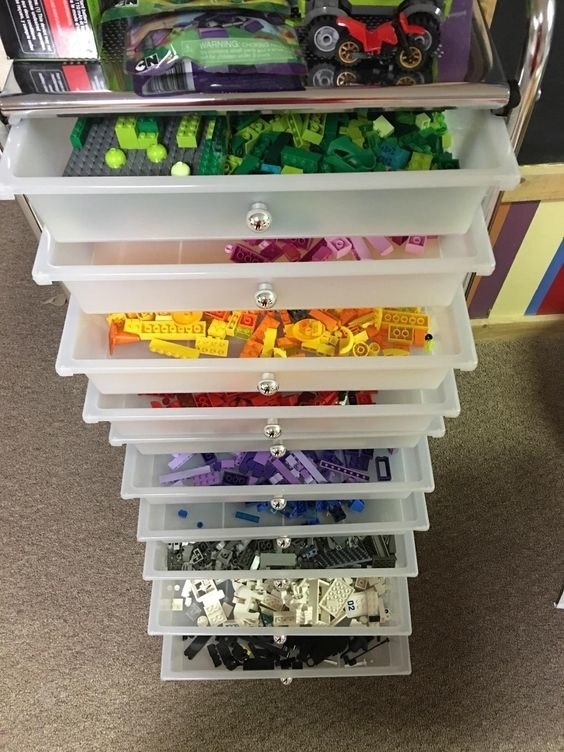 An organizational tower that will keep everything from makeup to LEGOs to art supplies exactly where they belong so you actually know where to find things when you need them. Get it from Amazon for $44.99+ (available in four colors). 2. 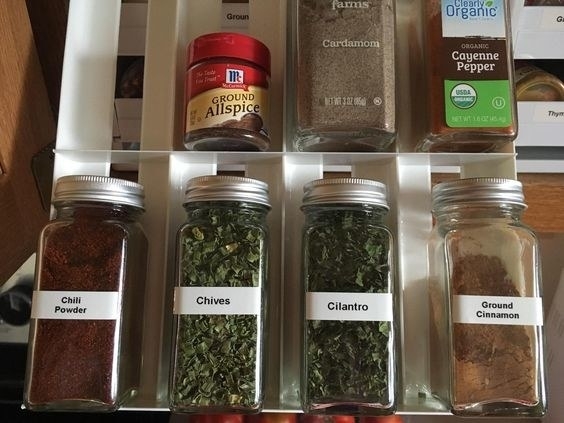 A set of drawer dividers to help you organize your drawers if you know what I mean. These are perfect for separating bras, underwear, socks...all the things that are normally in one terrifying Rat King–esque ball. Get them from Amazon for $22.99+. 3. An under-the-sink drawer set for keeping a usually ghastly space spick and span. 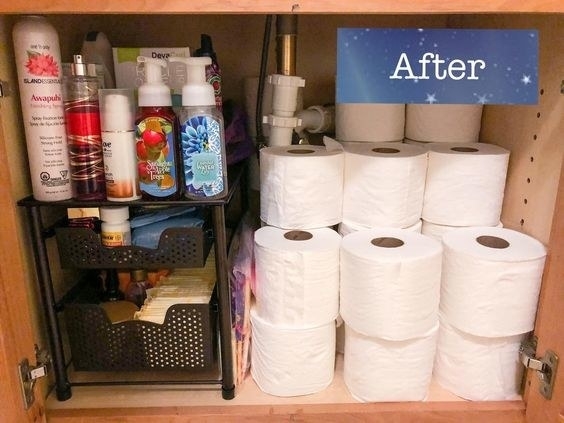 It'll banish your worries about visitors realizing you live in squalor when they innocently search for more TP. Get it from Amazon for $26.57 (available in two colors). 4. 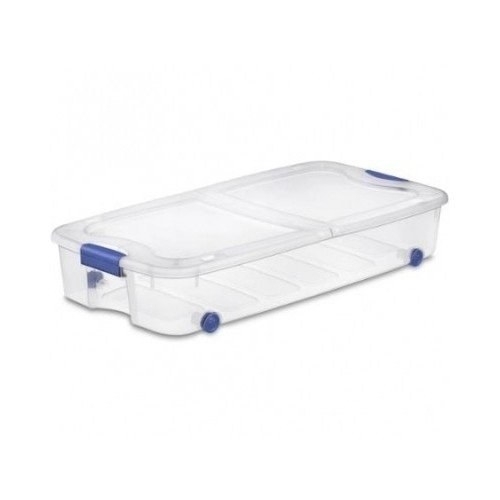 Refrigerator storage bins that would make any mother proud. The days of thrusting your arm shoulder-deep into the fridge to find some mustard (spilling everything along the way) are over. It's right where you left it: in the top bin kissing the ketchup. The set includes two wide drawers, two narrow drawers, a can dispenser, and an egg drawer. Get them from Amazon for $34.99. 5. A leather remote control organizer so you always know just where all one million of your remotes are. Don't have that many remotes anymore? Become the favorite child, and buy this for your father, who definitely still does. Get it from Amazon for $24.95 (available in three colors). 6. 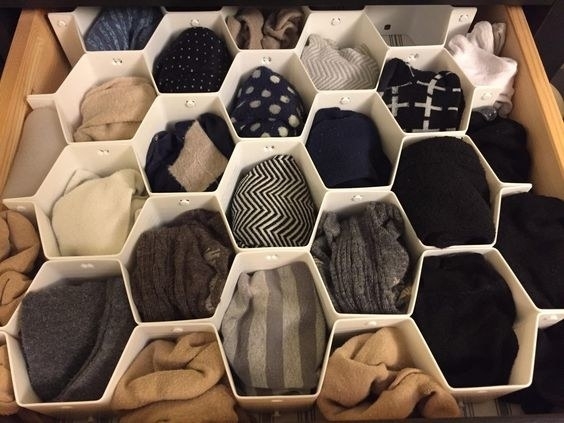 A hanging closet organizer to add some semblance of order to the pile of sweaters you've had on your closet floor for months. "Oh, but I'm going to store them soon." No. You're not. Let them live their best life in a cubby! Get it from Amazon for $13.97 (available in two colors). 7. 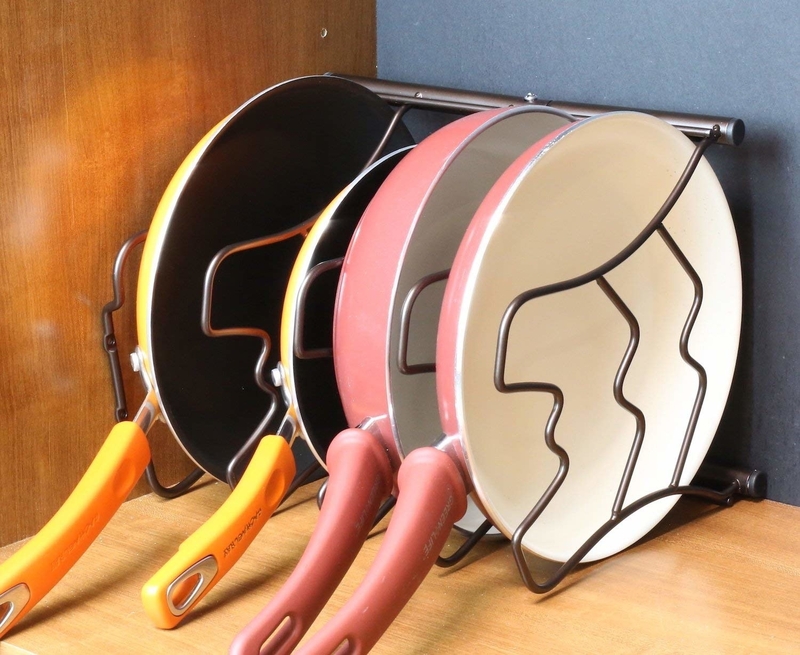 A pan and lid organizer that can be used both horizontally and vertically so you can fit all of your unwieldy cookware in your tiny kitchen. You may not be able to "open up the space" HGTV-style but you can absolutely make it work. Get it from Amazon for $16.87. 8. 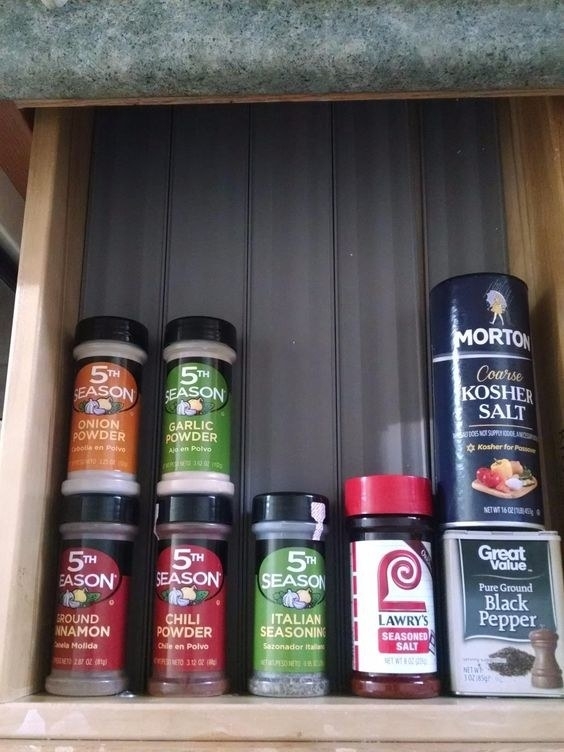 A spice organizer because there's nothing worse than needing the cinnamon IMMEDIATELY and having no idea where it is or if you have any at all. 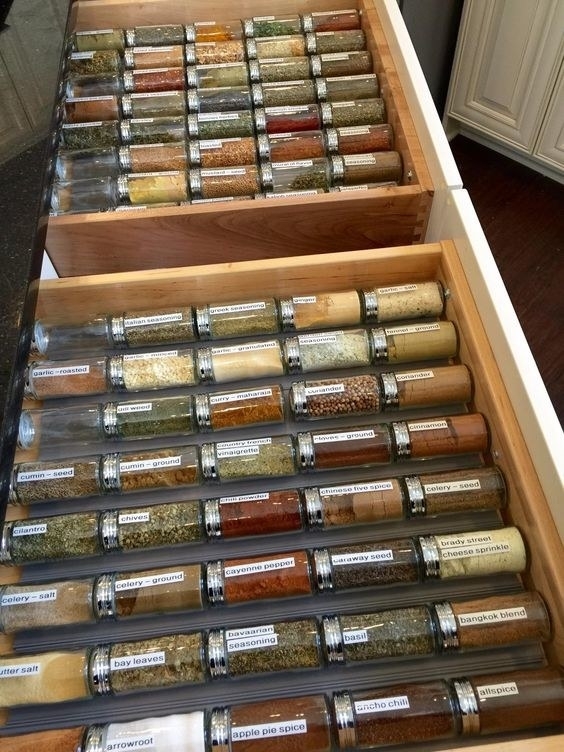 With these adjustable, grooved drawer strips, your glorious spice collection has never felt so seen and so heard. Get a six-pack from Amazon for $12.99. 9. A mop and broom holder — sometimes even your cleaning products need to be cleaned up, and this is just the tool for that meta task. 10. A honeycomb drawer organizer for keeping your underwear drawer *bee*utiful and organized. You'll finally be able to see exactly what you have — what a foreign concept! Get it from Amazon for $9.59. 11. Adjustable shoe stackers that allow you to store *twice* as many shoes as your normally could, and in a neat and orderly fashion. No more of your shoes literally stepping on each others' toes. Get a set of five from Amazon for $17.99. 12. 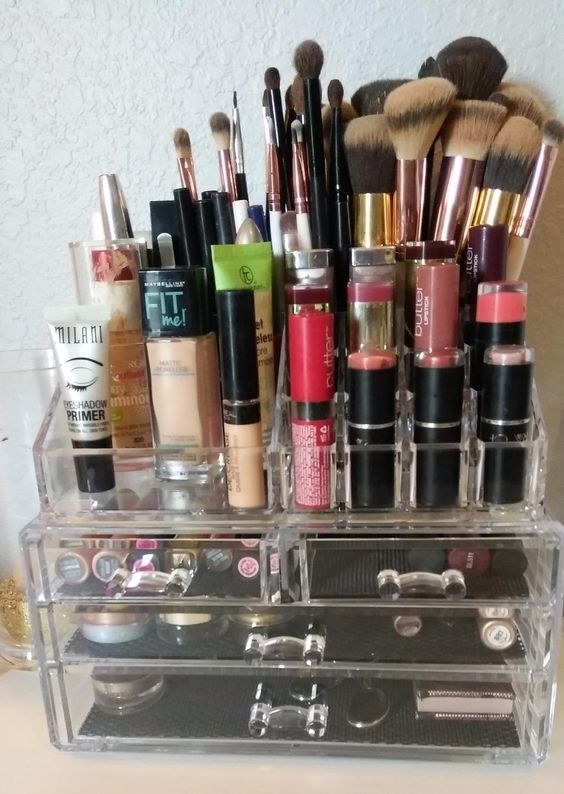 A four-drawer cosmetics organizer because it's about time you move your collection out of that free bag you got when you were 13! 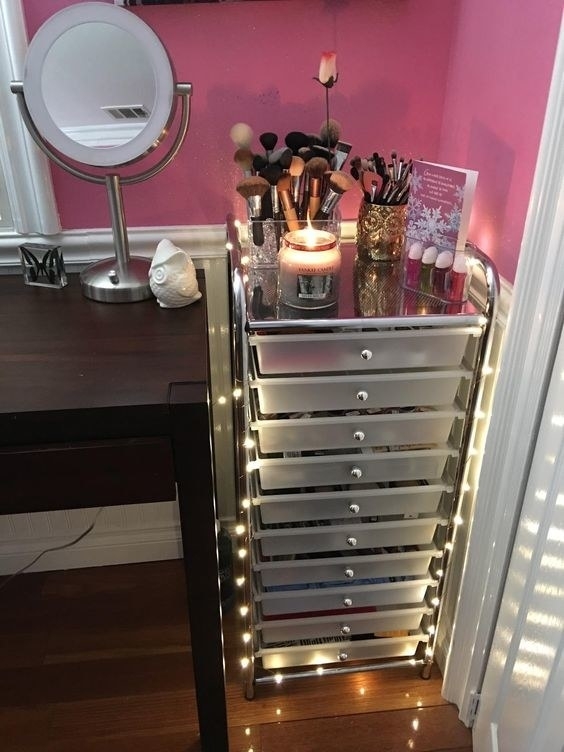 Give your makeup the dignity it deserves and treat yourself to a true vanity setup. 13. A many-drawered storage cabinet for storing anything that needs a home. It's like the Room of Requirement for your homeless objects. Get it from Amazon for $28.69+ (available in two colors). 14. 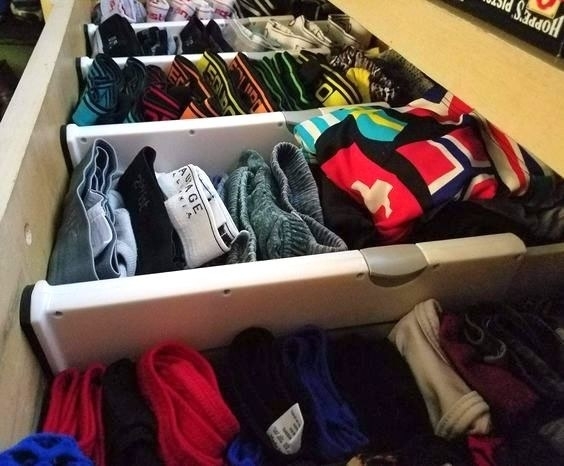 A set of eight interlocking bins that will 100% come in handy while you're KonMari-ing the eff out of your home. 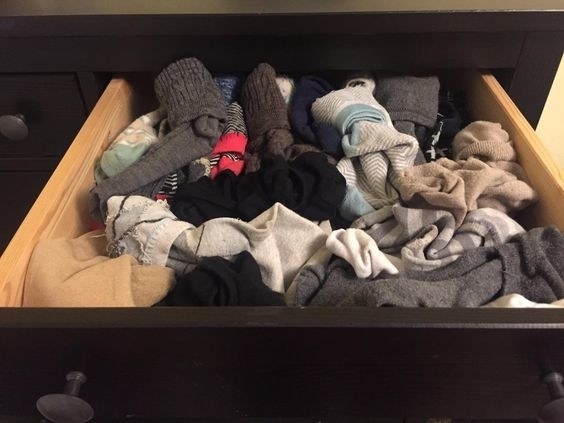 Junk drawers are so 2000-and-late, and organizational bins are in! 15. 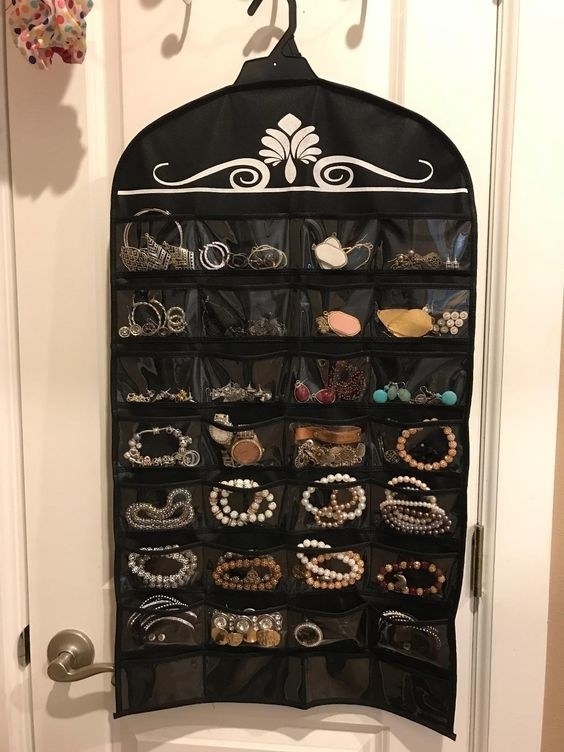 A hanging jewelry organizer whose clear pockets allow you to see exactly what you have while keeping all of your baubles neat and — most importantly — off of the vast messy expanse of your dresser top. Promising review: "I needed something that would save me space, but where I could still see all of my jewelry. These things are extremely durable. 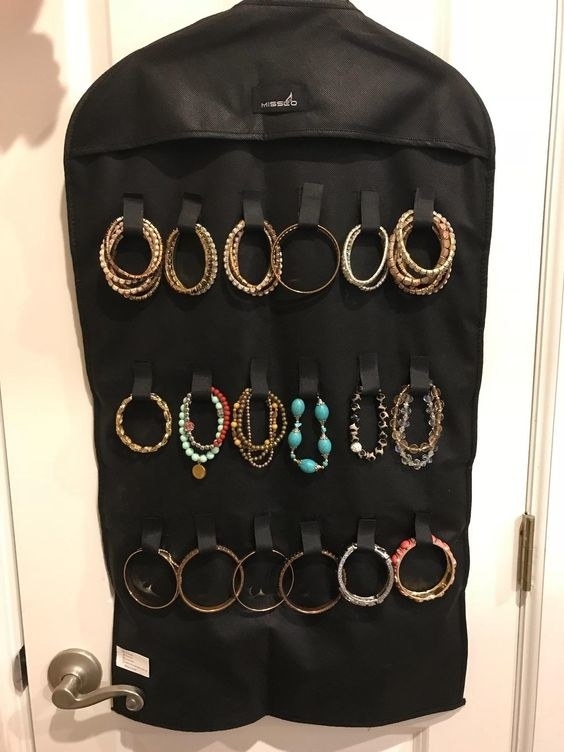 I bought two of them, and I have probably 50 or so necklaces on one side and maybe 30 pairs of earrings on the other side. There is not a single tear in it. In the other one I keep nail polishes. It is very convenient because you can see all the colors and it does not take up that much space." —Nellie F.
Get it from Amazon for $7.99 (available in two colors). 16. An over-the-door basket to keep cutting boards, plastic wrap, and baggies out of the way. 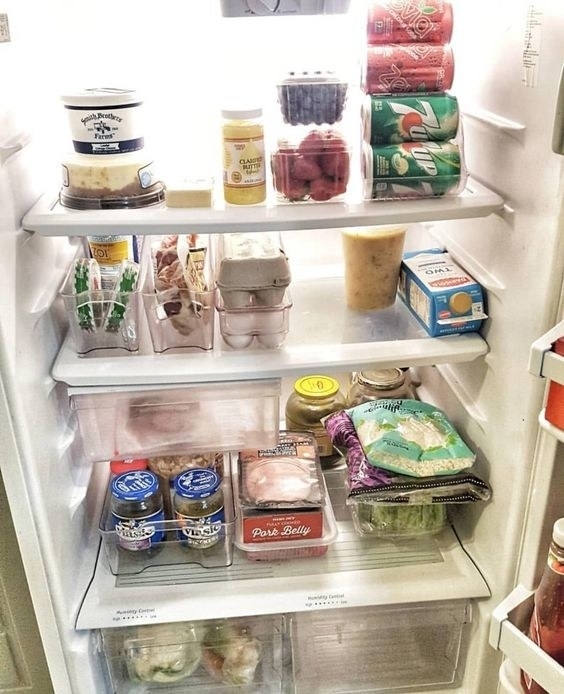 That one weird skinny cabinet was NOT working for you — be honest! 17. 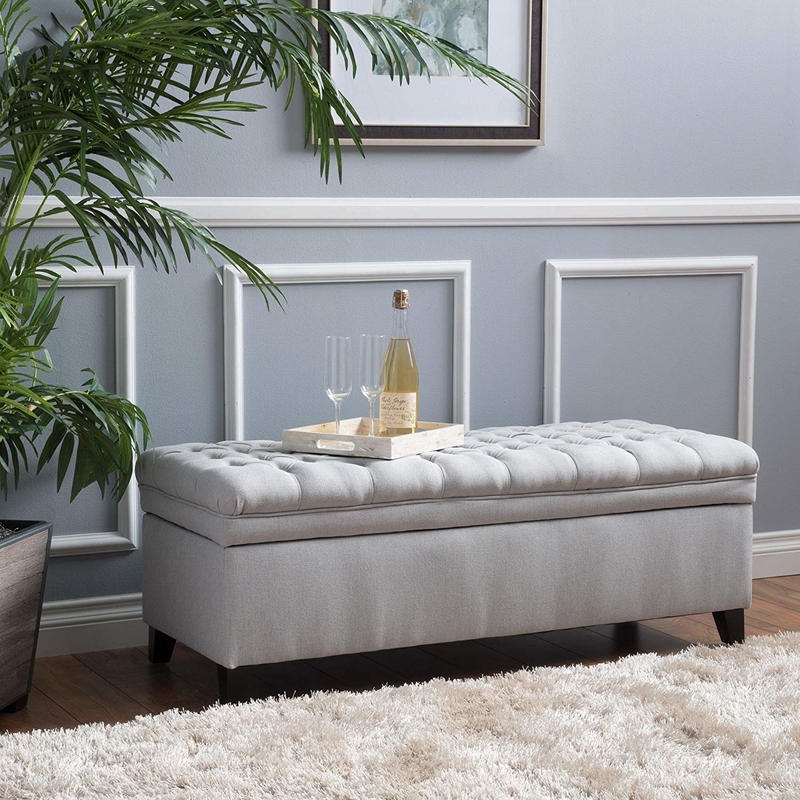 An entryway bench and shoe rack so every time you enter your home, you're instantly inclined to sit down, take off your shoes, and put them where they belong. See? That wasn't that hard, was it? Get it from Amazon for $47.99 (available in two colors). 18. 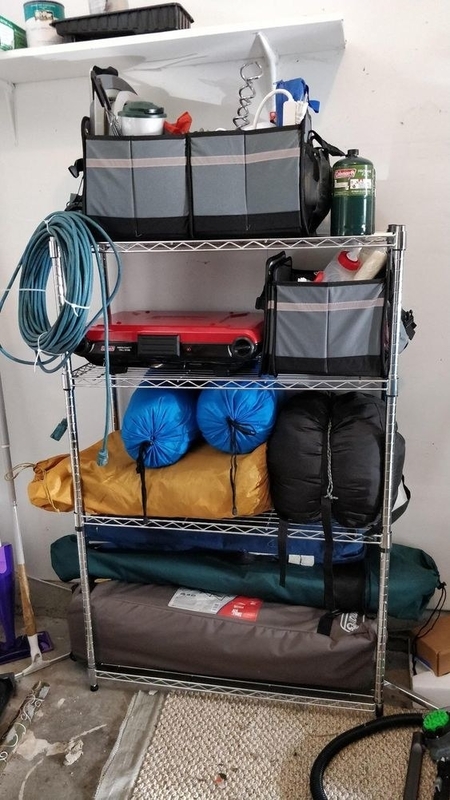 A bottle rack for finally organizing the unstable mountain of reusable water bottles that have accumulated in your cabinets. Dismantle Mount Bottle and take these well-stored babies hiking on an actual mountain! Get it from Amazon for $19.99+. 19. A personalized tie organizer to encourage you to "keep tie-dy" and finally untangle all of your strewn-about ties. This hanger's tiers also make it easy for you to see what you have, allowing you to experiment a bit more with your day-to-day look. Get it from CloudsandCurrents on Etsy for $37.28+. 20. A wooden silverware organizer with SO many compartments! Your grapefruit spoons and melon baller will feel like part of the family, at last. 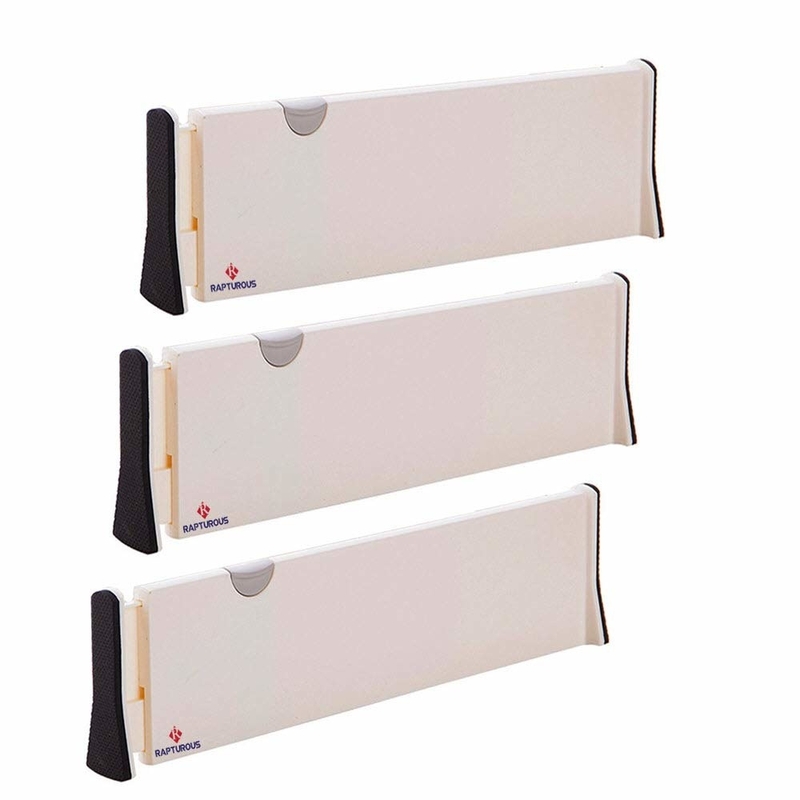 Promising review: "This is a wonderful product! We’ve been putting up with individual plastic silverware trays for years, which don’t hold everything, slide around, and look grungy. I put this tray in the drawer, slid it out to the width our drawer allows, and voila! A full drawer tray that holds all our goodies (including two sets of silverware). Couldn’t be more pleased." —James D. Hudson, Jr.
21. A cardboard dachshund desk organizer because — let's be real — you've kind of let your messy desk go to the dogs. Restore order and put that organizational ruff patch behind you. Get it from bottegadicartone on Etsy for $37.91. 22. 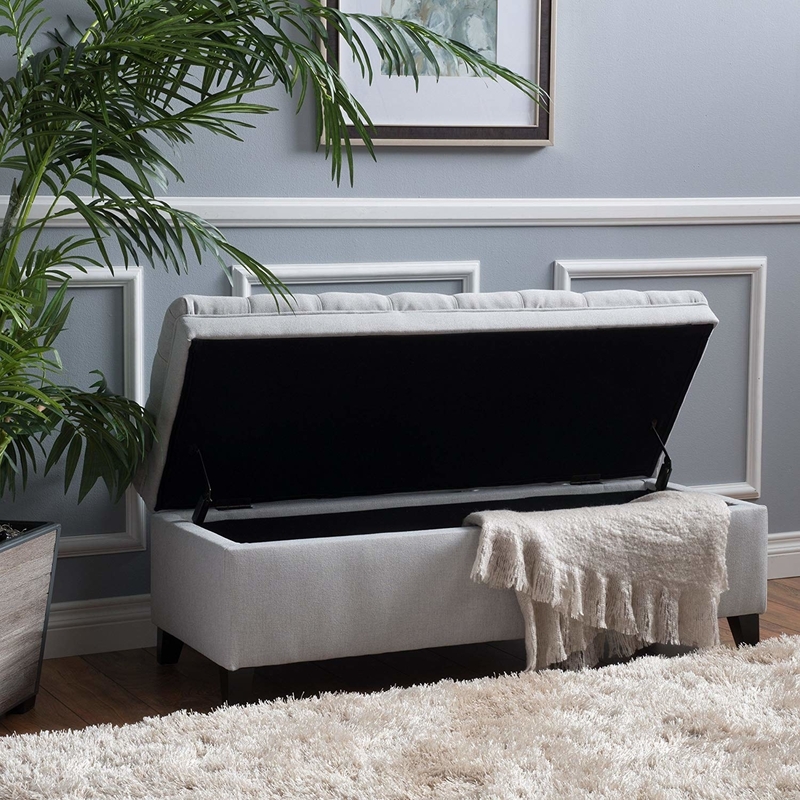 A beautiful tufted ottoman with storage that will not only upgrade your home's ~aesthetic~, but will give your blankets and linens a home to boot. Get it from Amazon for $148.79 (available in ten colors). 23. 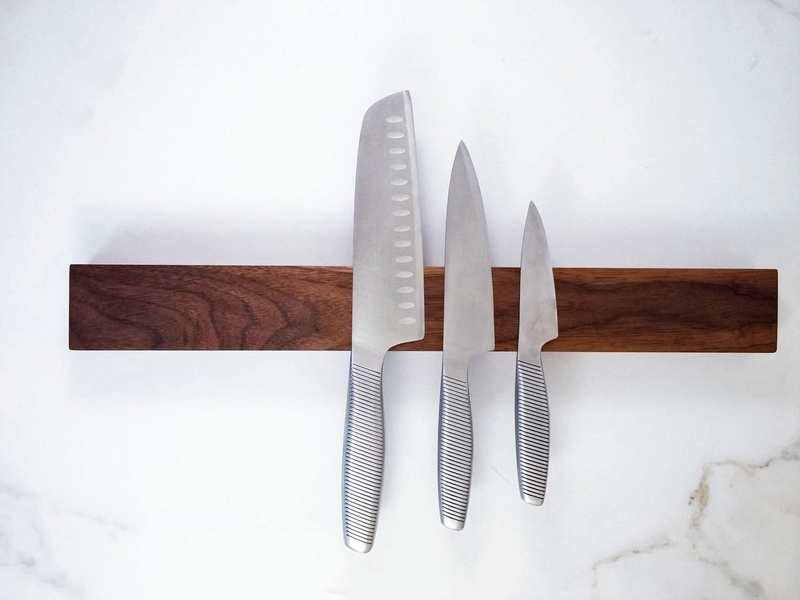 A magnetic knife strip to proudly display your knifes and cut down on clutter. 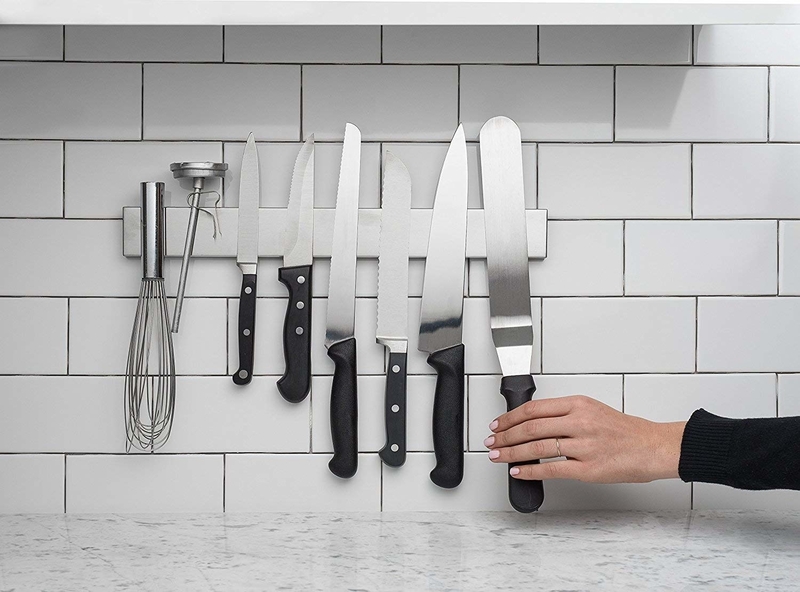 You'll also keep yourself much safer by not ummmm REACHING INTO A MESSY DRAWER OF KNIVES all the time. Get the metal one from Amazon for $16.99 and the unique wood one from WoodAllGood on Etsy for $41+. 24. A splurge-worthy roll-up leather pencil and tool case for keeping all of your writing and art supplies wrapped up in a hug. Carrying this around will also make you feel like a fancy and successful architect. "Ah, yes. Building math," you mumble to yourself, reaching for your favorite pen. Get it from mbgleather on Etsy for $56 (available in three colors). 25. 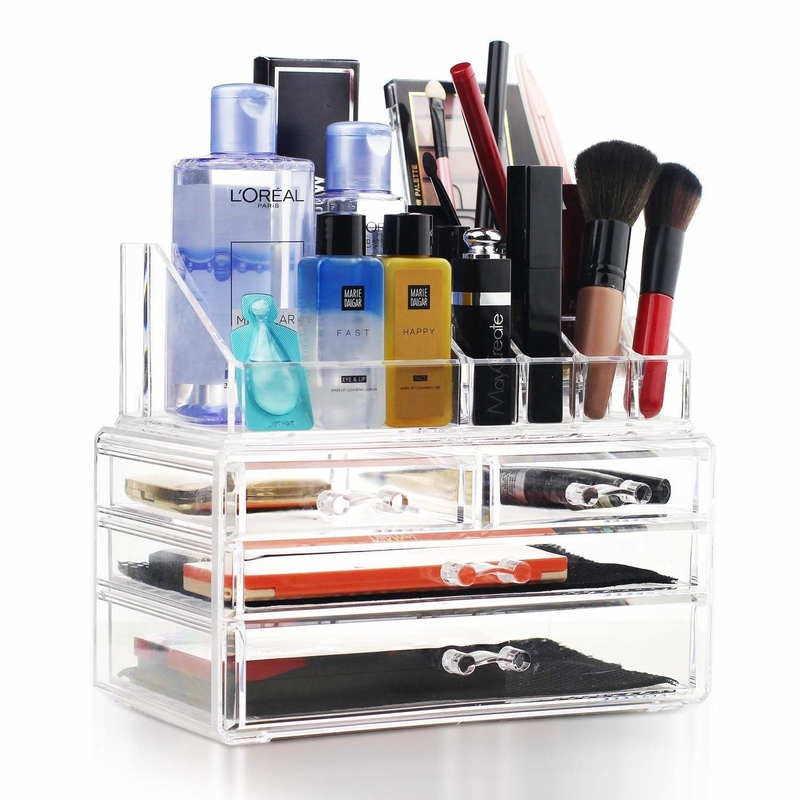 A classic mesh desk organizer that you've probably been meaning to buy for forever! Just get one already; they really do help with organizing mail, important documents, office supplies, and any extraneous desk paraphernalia. Get it from Amazon for $24.87 (available in two colors). 26. 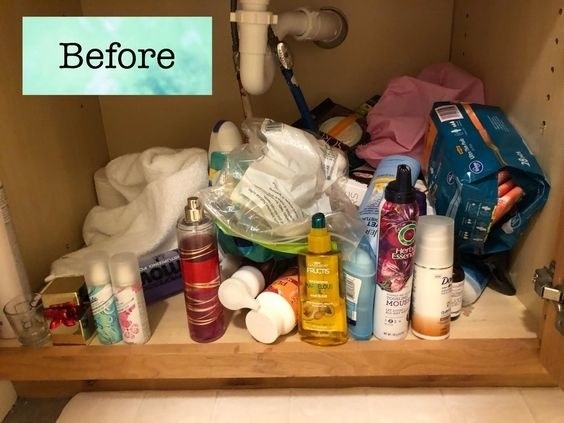 An over-the-cabinet storage system so you no longer have to choose between storing your plug-in hair tools dangerously close to the sink or in a tangled mess in a drawer. 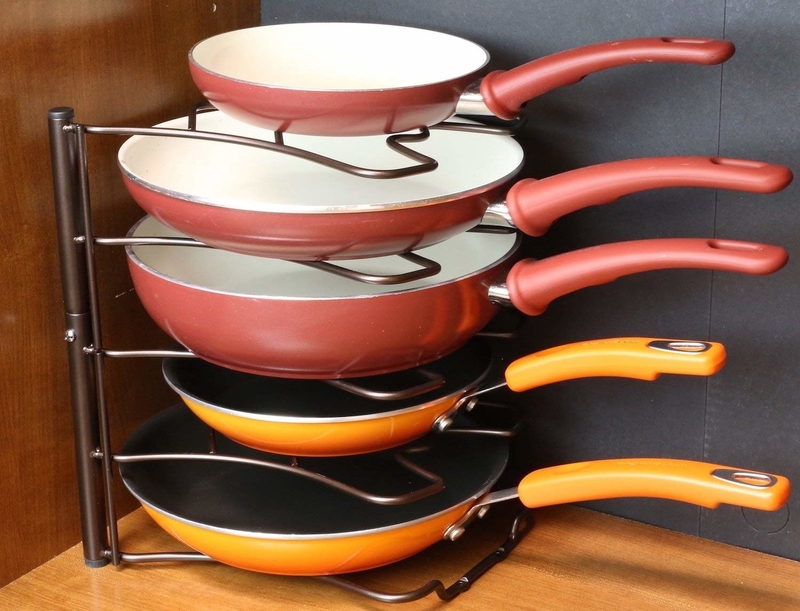 Get it from Amazon for $15.99 (available in seven finishes). 27. 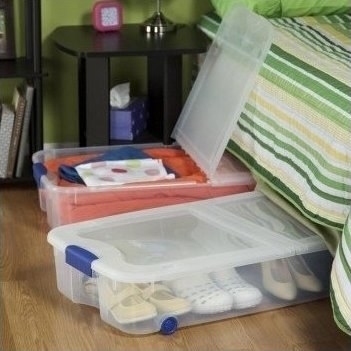 A set of four under-the-bed storage boxes because the "throw it under there and pretend it doesn't exist" method hasn't really been working for you. 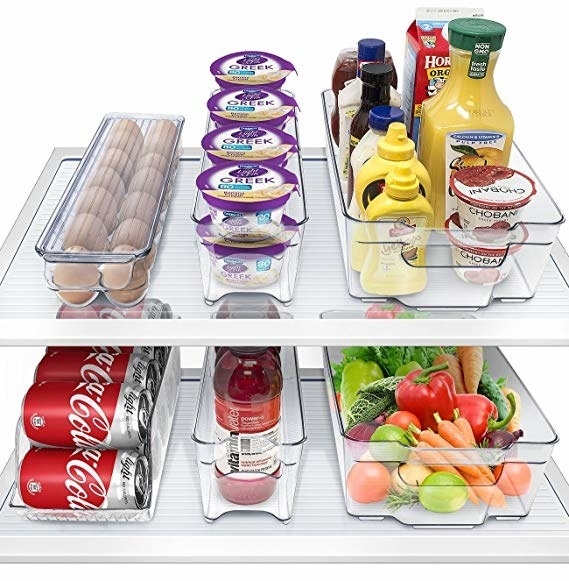 These clear bins let you know exactly what you have, and the half-open option lets you reach for things hassle-free. Get them from Amazon for $63.25. 28. A basic four-shelf wire shelving unit that's a simple storage solution for any room in your home. 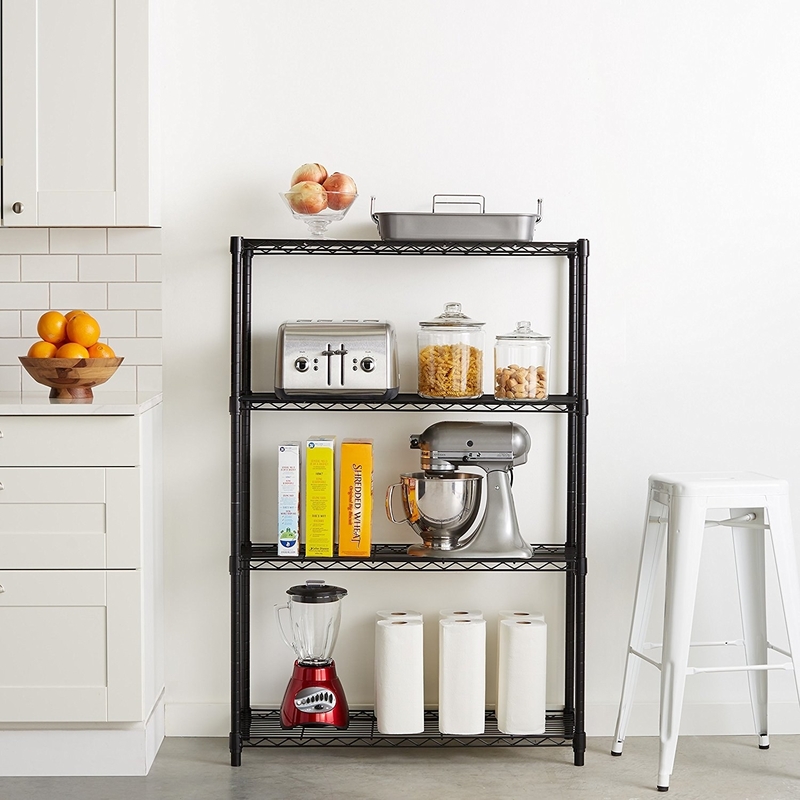 From the kitchen to the garage to the play room, you can never go wrong with more shelving. Get it from Amazon for $42.70 (also available in two- and five-shelf versions). 29. 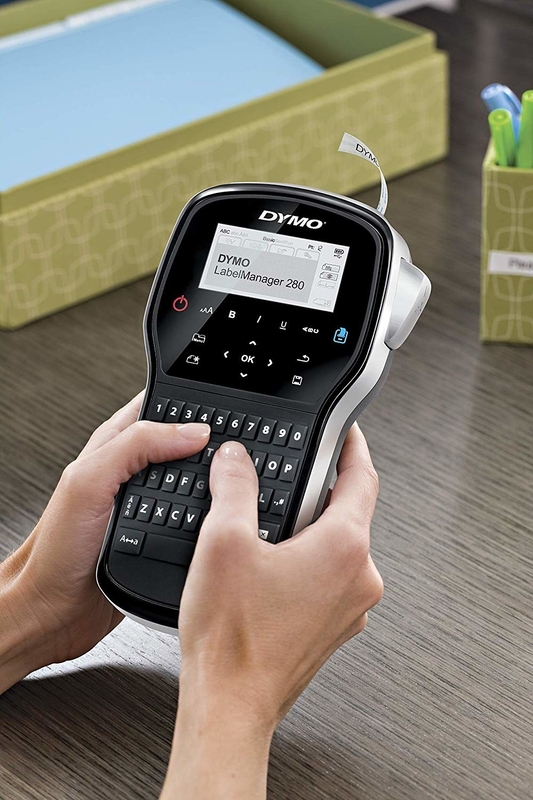 A label maker, so once everything is tucked away safe and sound in your new organizers, you can label your little heart out. So many new drawers, so little time. On a cleaning kick? Check out more of our neat #content!